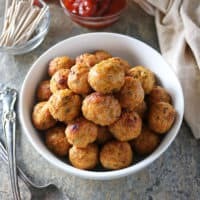 These Gluten-free, Baked, Spicy Chicken Meatballs are so easy to make and are delicious dipped in your favorite sauce or dropped into a curry. The best plate of spaghetti and meatballs I ever had was a few years ago at a friend’s home. It was such a simple meal. No salad or sides. No fancy dishes. Just one large pot of perfectly cooked spaghetti and an equally large pot of deliciously spiced meatballs swimming in one heck of a scrumptious sauce. I’m not a huge beef eater so for a second I contemplated only serving some spaghetti and some sauce onto my plate. But, that ladle of sauce I plopped onto my plate of spaghetti had a small stray piece of a meatball in it. One taste and I was hooked. I ended up devouring almost 4 large meatballs that night. When I asked my friend for the recipe, his measurements (much like my mom’s) included a “pinch”, a “drizzle”, and a “handful”. Needless to say, I never tried to recreate those meatballs. I didn’t want to ruin my memory of them. But, over the years I have tried my hand at making a wide variety of turkey, chicken and veggie balls. 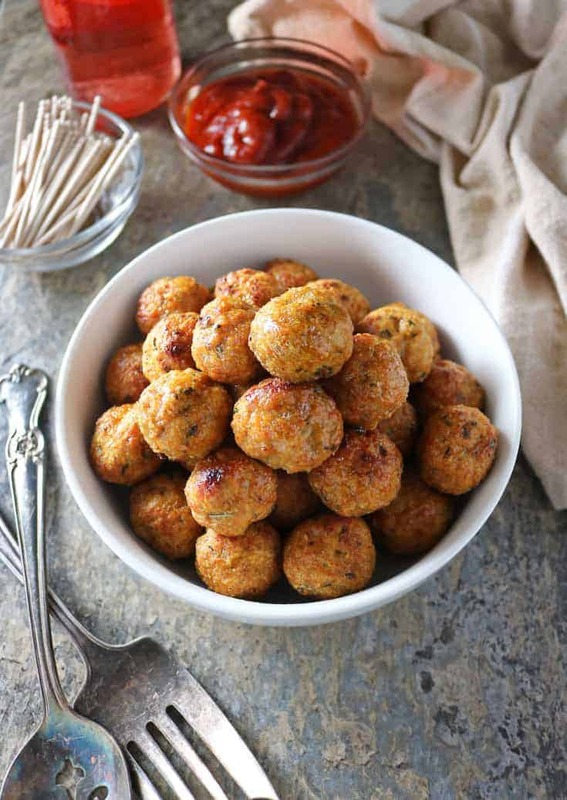 Some of them, like these Cheese Stuffed Turkey Balls and these Meatless Veggie Balls, I have shared here. And today I have these Spicy Baked Chicken Meatballs to share. This is such a simple recipe. A dump-all-the-ingredients-together-and-mix-and-bake kinda recipe. 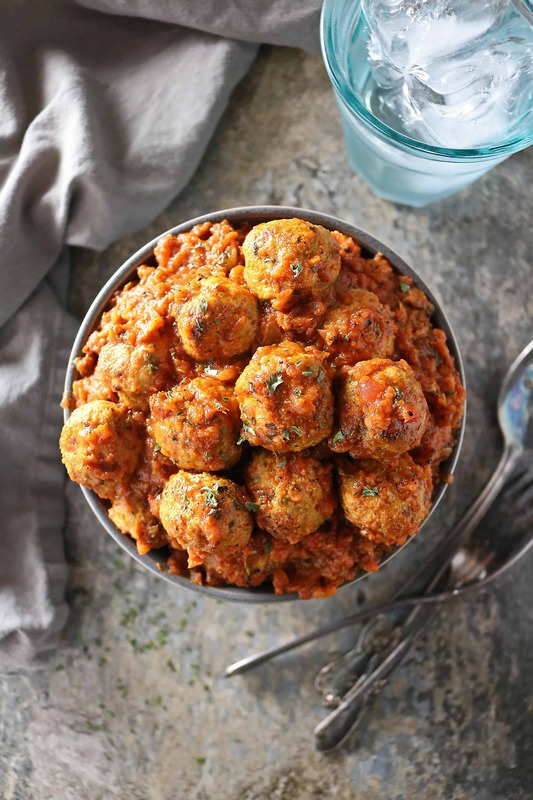 My daughter and I enjoy these Spicy Baked Chicken Meatballs on those nights when we are out of pre-prepped meals like this Garlic Pumpkin Soup as these Spicy Baked Chicken Meatballs are so easy and quick to whip up. You probably have most or all of these ingredients hanging out in your pantry and refrigerator. The only time consuming thing I did was to grate the onion and ginger just so it was more evenly distributed throughout the meatballs. Also, as I wanted to keep these Spicy Baked Chicken Meatballs small and bite-sized, I didn’t want large chunks of onion or ginger sticking out. 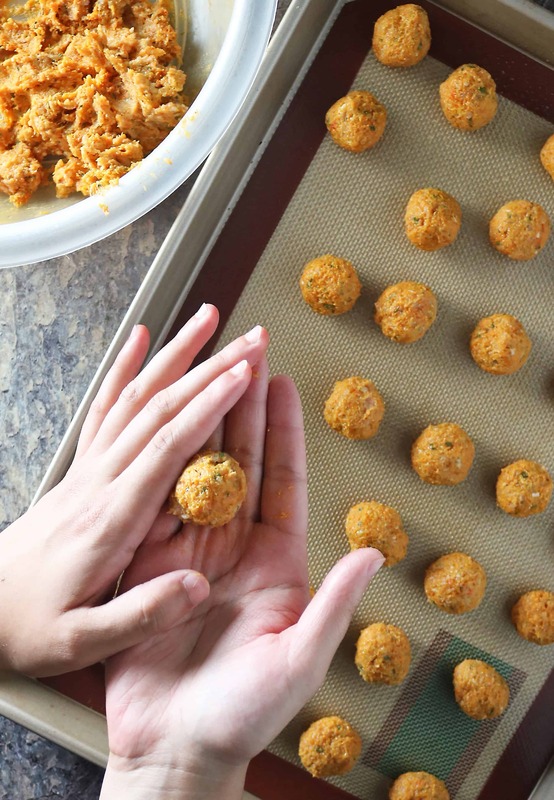 And, I found that spraying these chicken meatballs lightly with some cooking oil spray before baking and immediately after they are pulled out of the oven, keeps them so juicy! Much like the Italians enjoy their version of meatballs or “polpettes”, my daughter and I enjoy these Spicy Baked Chicken Meatballs sans spaghetti. 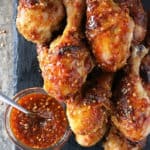 Sometimes we dunk them in some Sweet Chili Sauce or Pumpkin Chili Sauce or serve them in a bowl of Roasted Red Pepper Dip/marinade with some sauteed onions and garlic – like I have done here. If you happen to make these Spicy Baked Chicken Meatballs, please do let me know your thoughts on it and, if you love it, please tag #savoryspin @savoryspin on social media so I can reshare it. 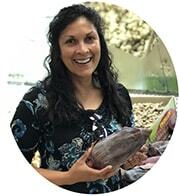 You can also FOLLOW ME on FACEBOOK, TWITTER, INSTAGRAM and PINTEREST to get recipe ideas and inspiration. 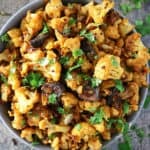 Add chicken, almond meal, parsley, grated ginger, grated onion, coriander, cumin, turmeric, smoked paprika, chili powder, and cayenne pepper to a large bowl and simply mix all the ingredients together using a wooden spoon or your hands. When well mixed, grab spoonfuls and roll into balls. 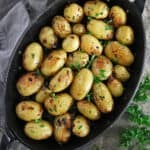 Place chicken balls on a parchment or silpat lined baking tray, lightly spray chicken balls with cooking oil spray and place in preheated oven. Bake at 385 for 25-30 minutes or until golden. Remove chicken balls from oven, lightly spray with cooking oil spray again and enjoy with your favorite sauce or in a curry. I grated my onion and ginger so they would mix well and be evenly distributed throughout the chicken meatballs - but feel free to dice them extra fine, if you prefer. You had me at spicy. These meatballs look incredible! I love the idea of dipping them in a sweet chili sauce. 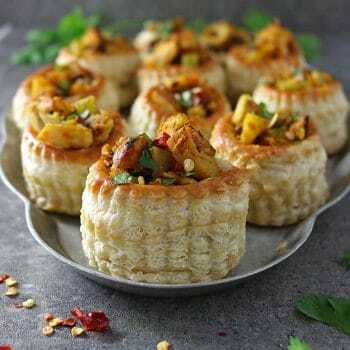 Will definitely give them a try! 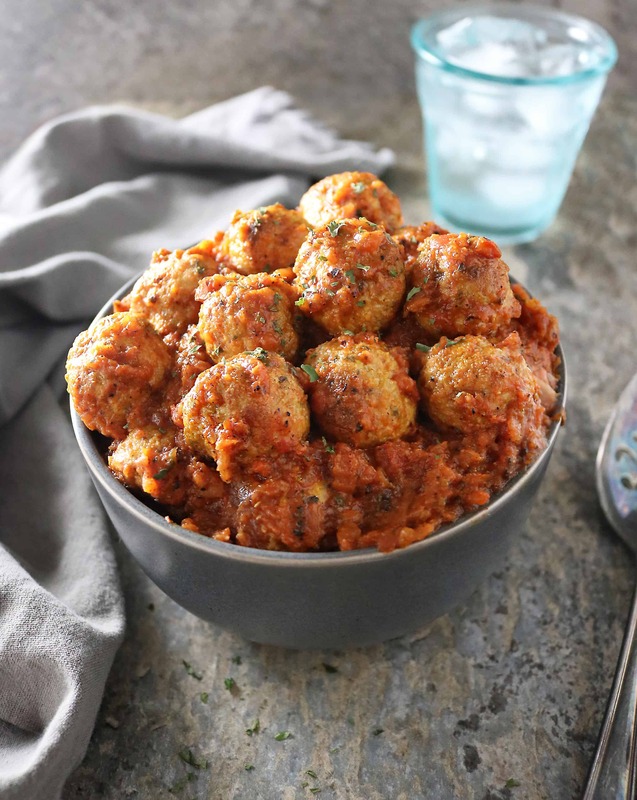 These meatballs would be perfect for game day! I can’t wait to try them! These meatballs with that dip you described sound amazing. I like to make a HUGE batch and freeze them for those nights when I don’t feel like cooking. 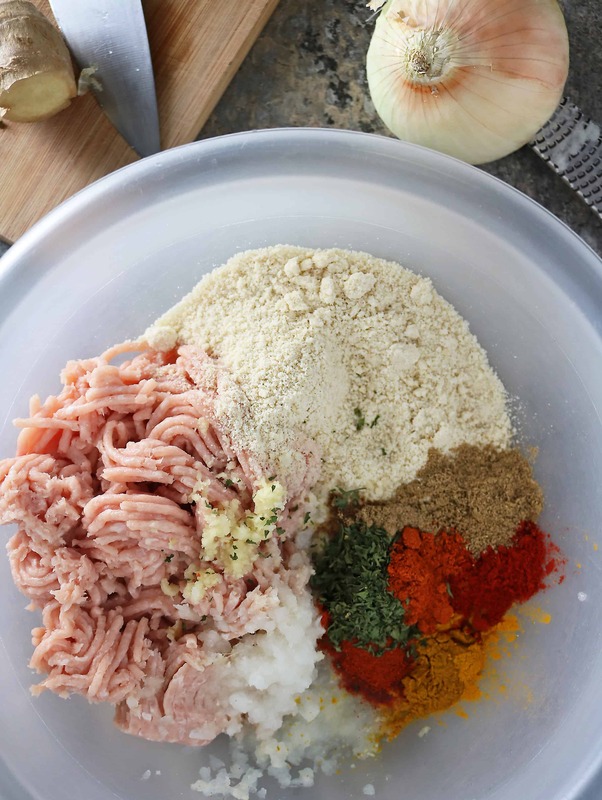 Amazing meatball recipe! 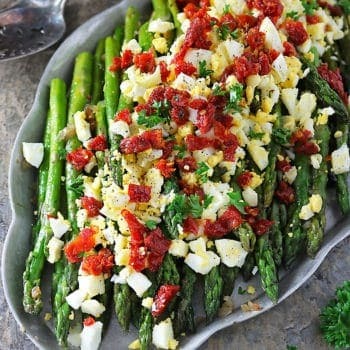 Looks so delicious and flavorful! Yum. I’ve made turkey meatballs before but never chicken. Thanks for posting. I do love a good meatball and often have beef or turkey, but chicken is a lovely mix up! 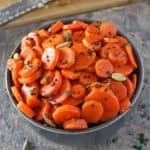 Love that they have lots of spice in there, especially smoked paprika (so yummy) and that they’re on the healthier side…that means I have no problem eating my fair share 😉 Delish, Shashi! My family has a Swedish meatball recipe that’s always a hit and I serve it for almost every get-together I host. But I think I’m going to serve these meatballs next time–not only do they sound great, but I love that they’re easier. The family recipe takes FOREVER to make. . .Happy Tuesday, Shashi!